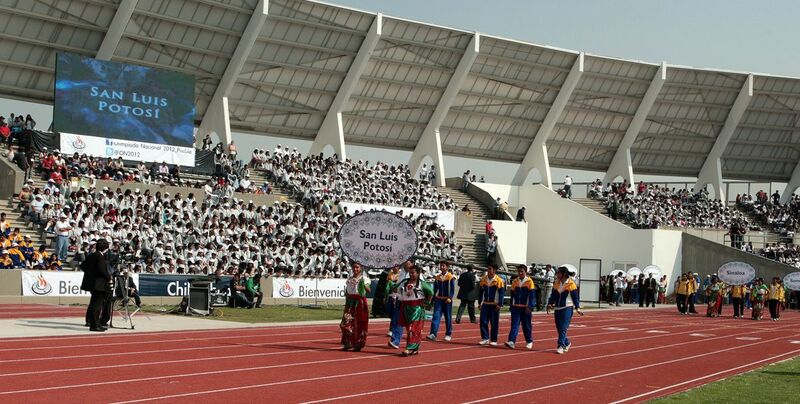 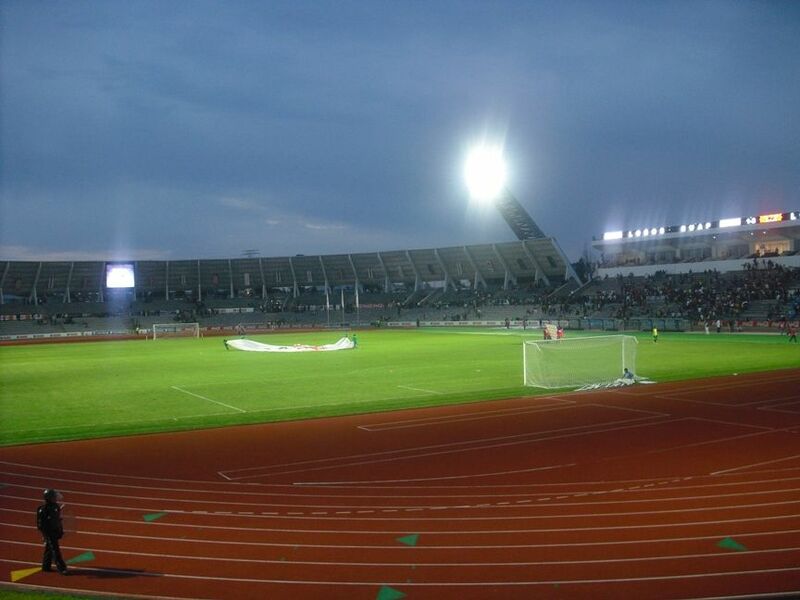 In its initial form, the stadium at BUAP university campus was opened in 1992. 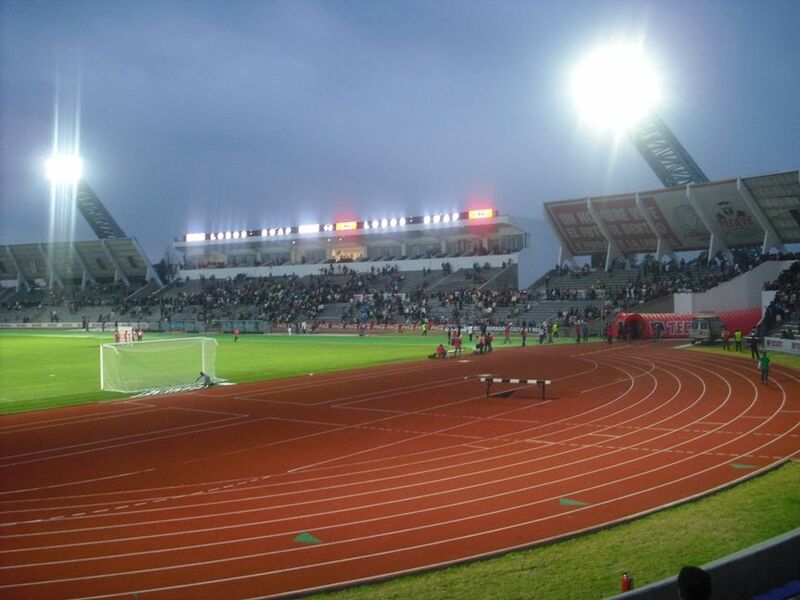 It had 11 rows of terracing on landfill, surrounding the running track and football pitch. 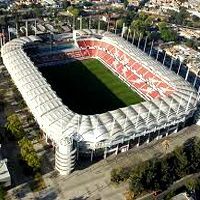 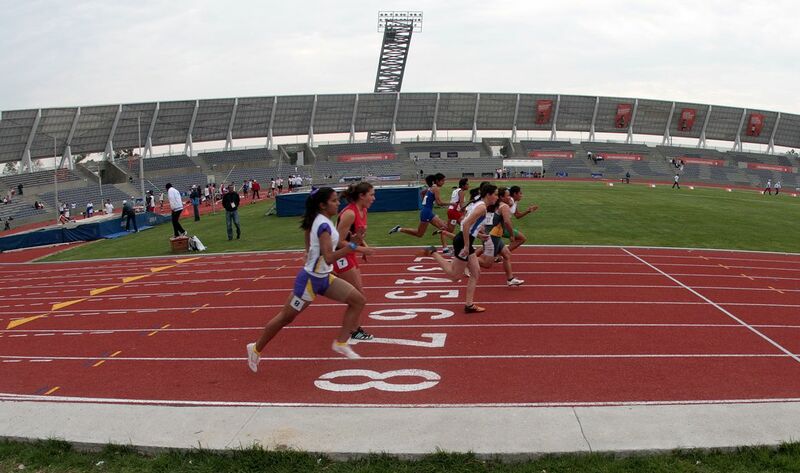 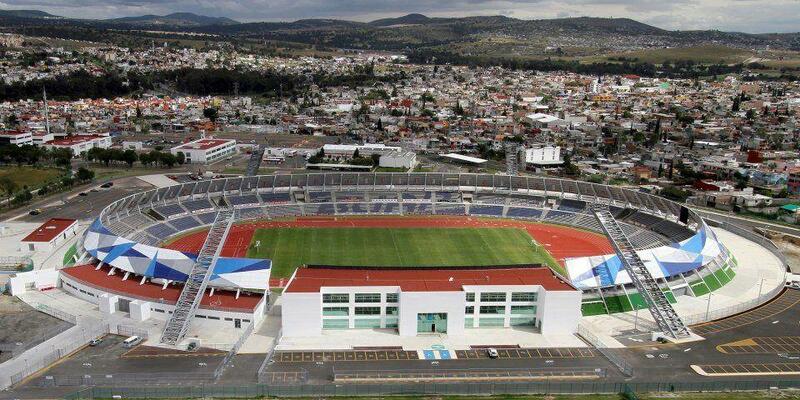 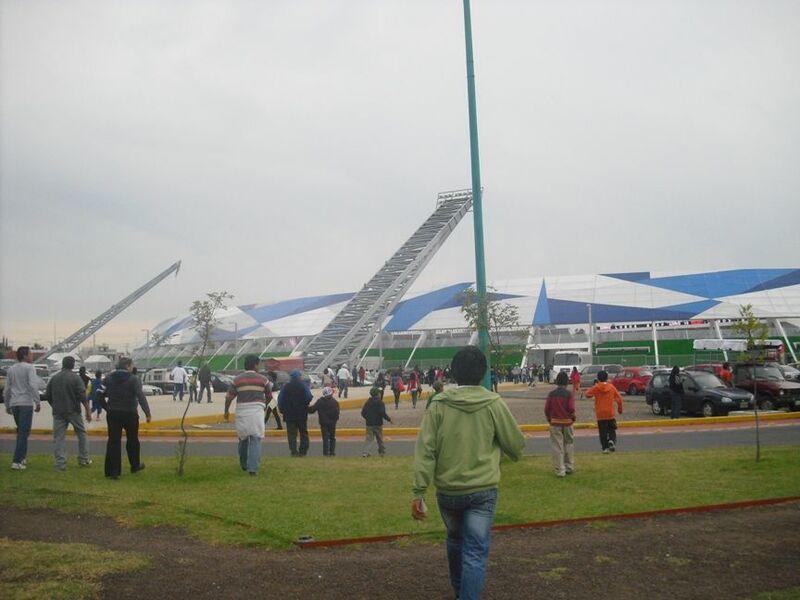 As the city of Puebla was selected to host the 2012 Olimpiada Nacional, the stadium underwent a major overhaul. 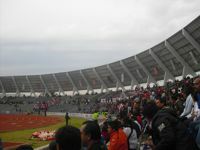 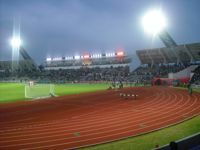 At the cost of MXN 380 million further 9 rows of seating were added throughout the stadium with a new steel roof frame. West side saw a brand new main grandstand and floodlight masts were installed as well. 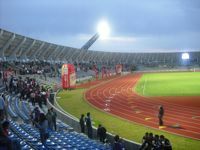 Apart from the academic athletics, the stadium also hosts two professional football clubs that play on central level: Lobos de BUAP and Lobos Prepa. 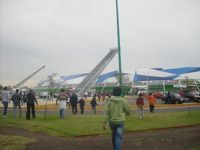 They may not be huge, but are both modern and interesting. 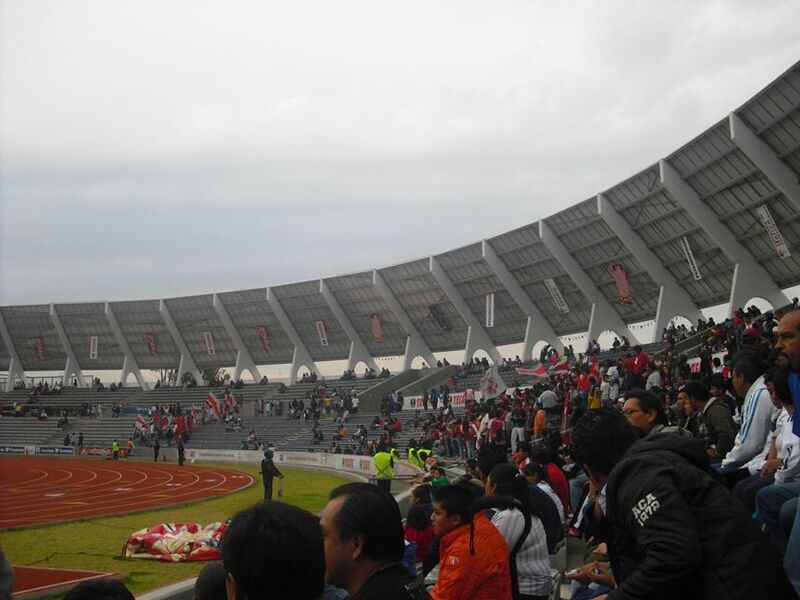 Because having a fountain behind seats has to be interesting, doesn't it? Please welcome Estadio Victoria and Estadio Universitario de la BUAP at StadiumDB.com.